About five people were confirmed dead following a cholera outbreak in Kenbu village, Balanga LGA of Gombe State. 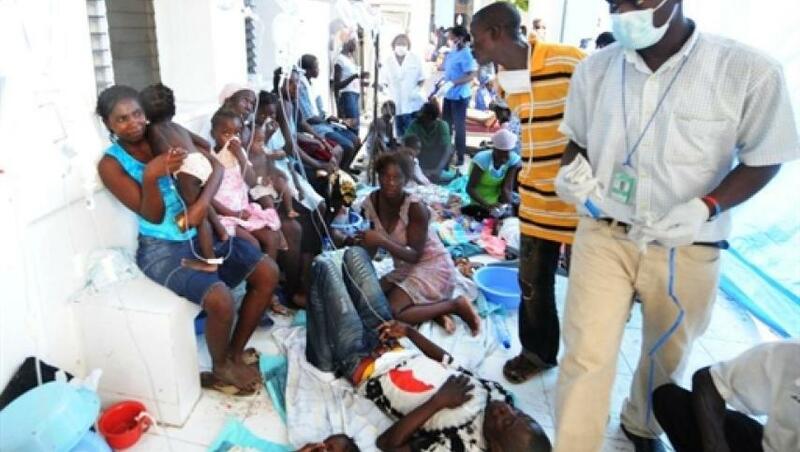 This was just as 16 affected persons are currently on the hospital bed, receiving treatment. DAILY POST gathered, however, that 70 others have already been discharged. Dr Nuhu Bille, the Director Primary Health Care Gombe State exclusively told DAILY POST in an interview in Gombe said that government had already dispatched health workers to the affected areas to contain the spread of the cholera outbreak. â€œWe received report that five people have died with 16 bedridden, while 70 have been discharged. We have sent our health workers to the areas to curb further outbreak of the deadly disease,â€ said Bille. He attributed the cause of the cholera outbreak to poor hygiene as well as poor source of water. He vowed that henceforth, the government will deal with any person found wanting of not keeping his environment clean.